The Users view details all users that have activated products with the account’s teams. User – the email address of the user. Team – the team the user has activated with. Product – the products currently being used by the user. Last active – the last time the user was active with an activated product. Time saved – how much time the user has saved using JRebel in the last 30 days. Redeploy time – the effective redeploy time of the user. Actions – access to user actions. Press Block to block the current user. Press Offline users, Invited users or Blocked users to access the relevant views. To block a user, press the Block button in the Actions column. You will be asked to verify this command. This will immediately restrict product access for the user. Users with offline seats can also be blocked. Any seats assigned to the offline user will be made available for use when their offline leases expire. 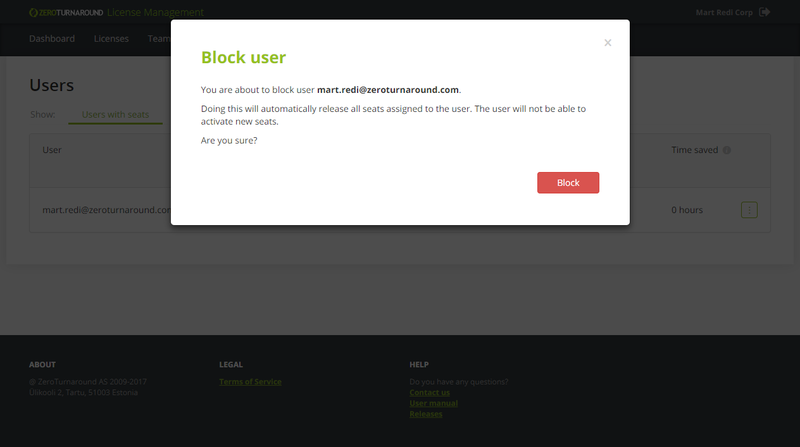 To unblock a user, access the Blocked users view. 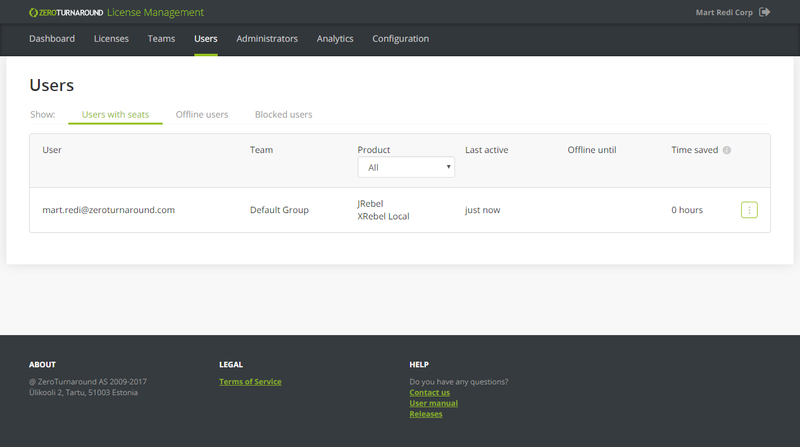 Locate the desired blocked user and press Unblock in the Actions column.